It’s funny—the Telecaster is such a simple instrument, yet its appeal stretches across genre lines, styles, and taste. Punk rock power-chorders, classic rockers, wailing bluesmen and country chicken pickers all seem to love slinging a Telecaster across their shoulder and hitting the stage. The universal love for the Telecaster’s simple, elegant styling and versatile tone speaks to Leo’s genius, but when you consider that the Telecaster was his first crack at making an electric guitar, his design becomes even more impressive. How many people can say that they created a legend on their first try? 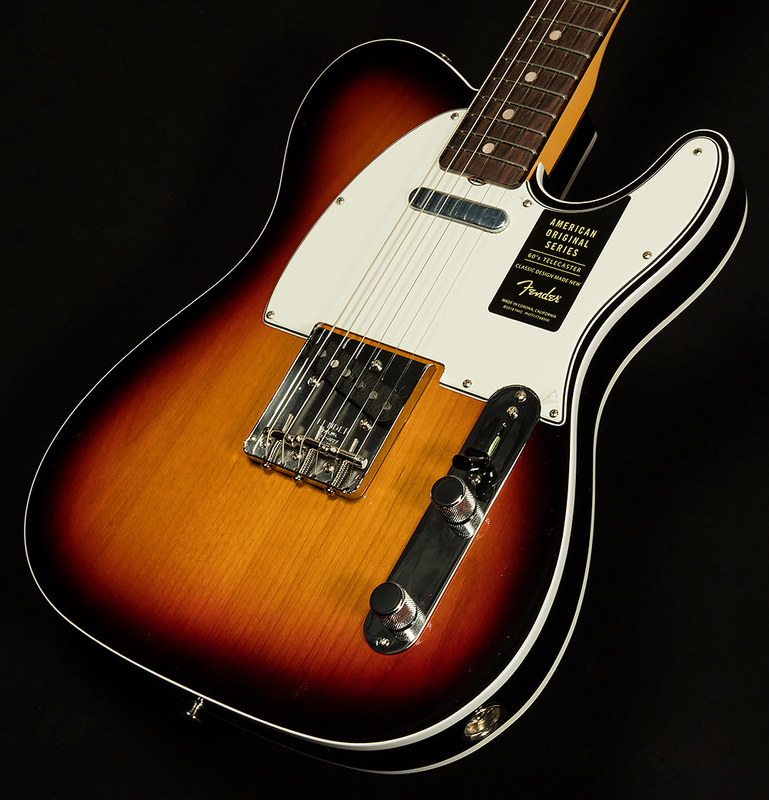 Now, Fender pays homage to Leo’s original flash of inspiration with the American Original ‘60s Telecaster. The Wildwood team is crazy for Telecasters, so we were waiting with baited breath for these guitars, and they met our high expectations and then some. There’s a lot of exciting stuff going on, but the new Pure Vintage pickups are especially groovy. Fender went all out to make these pickups sound as vintage as possible, and the results are truly spectacular. They wound these pickups the old-school way, with enamel-coated coils, cloth-covered output wires, fiber bobbins, and alnico 5 magnets. So, the bridge is crisp and bright and the neck is warm and delectable. They’ve also given these guitars a nitrocellulose lacquer finish, so they’re able to breathe and resonate just like the legendary vintage Fenders of yore. Add it all up, and you’ve got a guitar that will impress even the most vintage-obsessed tonehound! On the playability front, the '60s-style C-shaped neck feels great, and the modern 9.5” radius lets you chord easily and bend strings until the cows come home. Finally, the vintage tall frets, three-saddle bridge, and original-era body radii help complete the fifties aesthetic. These Teles look great, sound great, and play awesome, just like Leo intended. The Wildwood team finds these Telecasters to be a fitting tribute to his legacy, and we know you will, too.